The Community Church of Sebastopol is one of over 5000 congregations across the United States that belong to the United Church of Christ (UCC). With colonial-era beginnings going back to the Pilgrims in New England and German immigrants in Pennsylvania, the UCC is a church with deep roots in the American story. 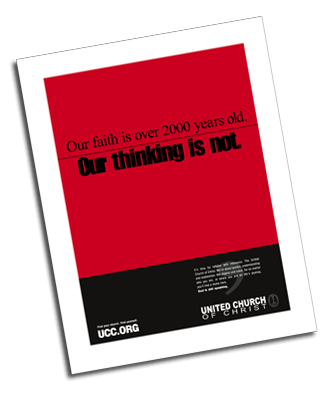 Formed by a merger in 1957 — part of a loose, worldwide, ecumenical movement of “united and uniting churches” — the UCC is still a young church. The UCC’s high commitment to God’s mission in the world… to loving and serving real people honestly in the midst of whatever their needs… have left the denomination deeply affected, even changed, by recent social movements and political challenges within the United States and the world. In a short time, the UCC has grown in some surprising and far-sighted ways.